In 2011, when singer/rapper/songwriter Phonte of The Foreign Exchange (+FE) fame released the critically-acclaimed, Top 10 Rap/Hip Hop Album, Charity Starts at Home,it was an impactful reminder that Phonte was more than just the occasionally comical, often reflective crooner of +FE; much more. As a rapper, Phonte had been the lynchpin of North Carolina’s globally respected four album, six mixtapes run of the now defunct Little Brother trio, whose “Lovin’ It” single from the 9th Wonder produced The Minstrel Show is a bonafide cult classic. Audience members who came to know Phonte at the onset of The Foreign Exchange’s 2004 Connected or over the last 14 years of near annual releases (whether outfit, duo, solo, live or remix) through Phonte and Nicolay’s Foreign Exchange Music label might have thought Phonte’s occasional bars throughout the years were the lighthearted play of a singer, not an extension of a strong Southern hip hop legacy several projects and nearly two decades deep. It’s been seven years since the commercial and critical success of CSAH and a whole new, younger audience has come along to once again only know the artist as the main singer of +FE. So, once again Phonte is here to remind audiences that his flow as a respected rapper is legit and not just for play play. But, after all these years, can No News Is Good News match the classic that is CSAH? Announced almost two years ago, No News Is Good News has been in the incubator for some time, despite Phonte believing this project wouldn’t have the long, two-year creative and production process that birthed CSAH. Helping him cultivate his new baby is a bevy of talent in front of and behind the scenes, including but not limited to: featured artists Eric “Erro” Roberson and Midwest rapper Freddie Gibbs, long-time +FE collaborator Lorenzo “Zo!” Ferguson, Devonne Harris (who also worked on 2016’s Tigallerro duet album with Erro), progressive trumpeter Josef Leimberg of 2016’s Astral Progressions fame, Terrell Wallace (Gilles Peterson, Tall Black Guy), and a host of relative newcomers. With this solid creative team, the project joins veteran projects like Jay-Z’s 4:44 in confidently answering the prevailing pop culture question what does a rapper over age 40 write about and does it follow trends? Like Jay-Z and producer No-I.D., Phonte partially answers by surrounding several songs with strong R&B and soul elements in-line with the classic hip hop of the ‘90s, if with the contemporary blueprint that made +FE an act that seemingly goes from strength to strength with every album. “Such Is Life” opens with a flutter of soulful lightness in keys and vocals before sliding into a deceptively silky, sophisticated soundscape of romantic elements that belies the harsh realism of every day street life Phonte depicts on the cut’s portraiture. With Eric Roberson on “Find That Love Again,” Phonte returns with his partner on a two-stepping smooth, light funk that personified the best of the mid-tempo grooves of the brilliant Tigallerro. The marital bliss of “Sweet You” throwback goes so far as to be a remixed, hip hop sequel of +FE’s “Sweeter Than You” from the Grammy-nominated Leave It All Behind. The other way Phonte answers our ageist culture’s implied questions regarding middle years rappers is by openly talking about grown man topics such as fatherhood on “Cry No More,” both as a son and as a father of sons, from a more sage and self-interrogating perspective than he might have a decade before. On “Expensive Genes,” Phonte talks about aging, health issues, weight problems, and other ailments and wellness concerns that plague the Black community. On the braggadocio laced “Pastor Tigallo,” Uncle Phonte preaches a street sermon satirizing prosperity preaching while confidently tackling such cultural issues as disparate as race and new age millennial musings. Throughout, he is witty, but matter-of-fact in his tough love for a community he sees too often in survival mode and not surviving, much less thriving. With “So Help Me God,” Phonte also makes it clear he can still come as hard and coarse as any rapper half his age and do so with better wordplay and with every word clearly articulated. As with +FE’s Leave It All Behind, Little Brother’s The Minstrel Show, and the Tigallerro duet album, Charity Starts at Home was something of a rare, cultural event that elevated Phonte to ever dizzying heights as one of the most consistent and versatile creatives of his generation. Matching or besting it may be as unfair as expecting Jay-Z’s much revered 4:44 to match or exceed Reasonable Doubt or The Blueprint. Some artistic moments are lightning in a bottle never to be quite repeated, even if the rest of your catalog comes pretty damn close. 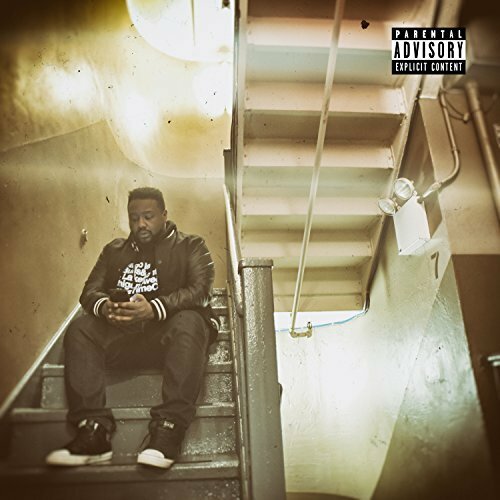 Accordingly, No News Is Good News is a very fine companion to CSAH, illustrating Phonte’s keen insights, acerbic wit, and signature flow as polished as they ever were, if not enhanced with newer, more wizened understandings of life, love, politics, culture, and relationships. If CSAH was the champagne of his career, No News Is Good News is the barrel-aged cognac, spiced, smooth, warming, and right on time for this season of life. Highly Recommended.